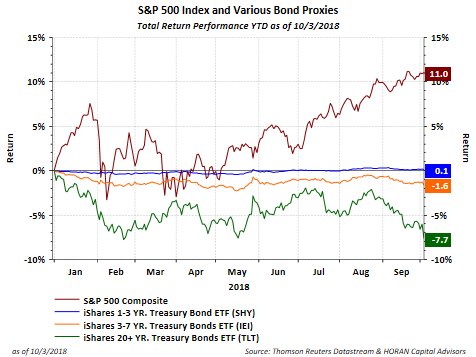 For a period of time this year, the U.S. equity market avoided the weakness that was occurring in many other equity markets around the world. October has certainly changed this though. 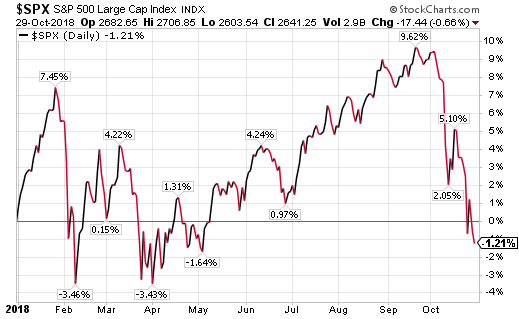 As can be seen below, the S&P 500 Index is in correction territory now, i.e., down greater than 10% from its high at the end of September. 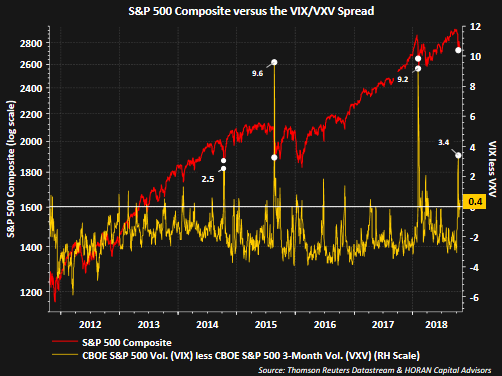 Recent equity market volatility has raised the question about the health of the current economic expansion. I must confess it is difficult to find too much in the way of negative news. What is important about this is the fact that a recession does not seem to be around the corner in our view. William Delwiche, CMT, CFA of R.W. Baird noted in a recent commentary, "Bear markets are almost always associated with a recession. Given the latest economic data and the leading indicators that point to further growth, the odds of recession are low." We would agree. Following are just some of the favorable data points and charts. 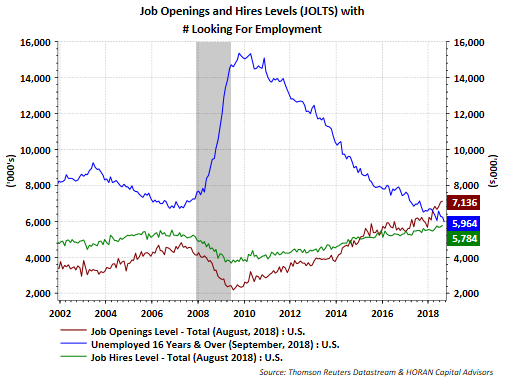 If job openings are an indication of the economy's strength, yesterday's Job Openings and Labor Turnover (JOLTs) report is confirmation of economic strength. Job openings reached another record high of 7.136 million. Compared to last August's openings of 6.044 million, openings are up 18.1% on a year over year basis. The timing of the unemployment data is one month ahead of the JOLTs data, however, the number of unemployed looking for work is 1.172 million lower than job openings. This is hard evidence that labor is a scare resource at the moment. This is not the type of data output that occurs in a recessionary environment. 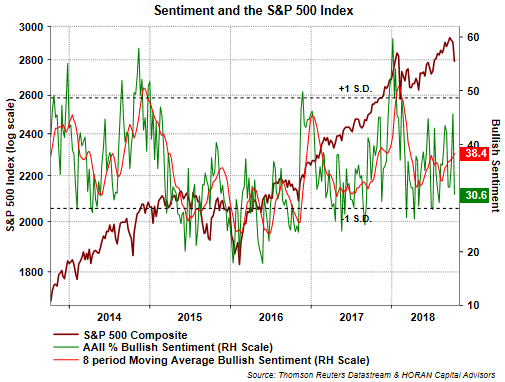 Today's Sentiment Survey release by the American Association of Individual Investors reported a 15.1 percentage point decline in bullish sentiment. Of course this report comes one day after the 800+ drop in the Dow Jones Industrial Average Index. 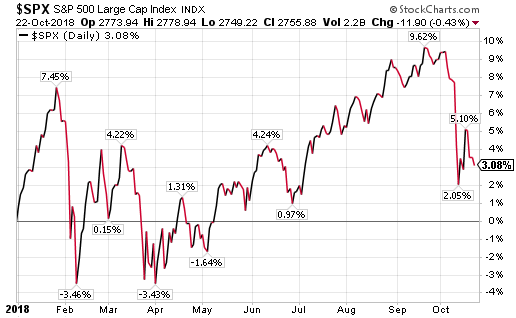 Two-thirds of the decline moved to the bearish camp with the other one-third moving to the neutral category. 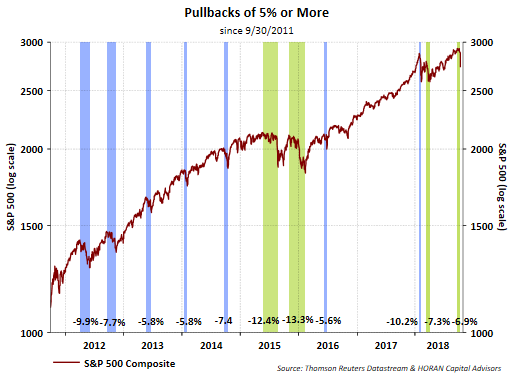 When all is said and done, the three categories of sentiment, bullish, neutral and bearish, fall in the 30-35% range. Not too long ago the concern around interest rates was the fact the yield curve was flattening and the Fed's rate hikes might end up inverting the interest rate curve by pushing short rates above long term rates. 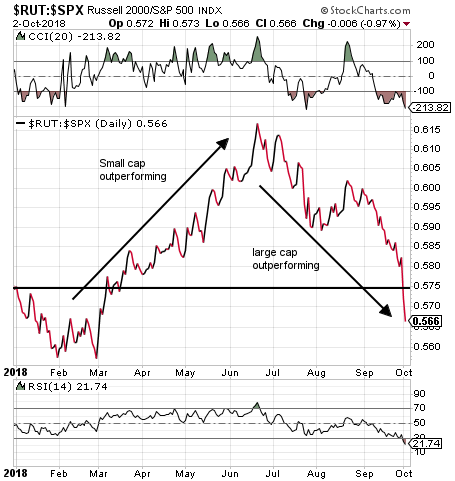 This past week though the focus seems to have shifted to a quickly rising long term 10-Year U.S. Treasury rate and a resulting steepening of the yield curve.